Learn about research into the interactions of ice, land and sea across Southeast Alaska at the end of the last ice age. Recent discoveries, some in the Sitka area have been used in an attempt to model changing shorelines from the end of the last ice age into the present. You are invited to enter in to the discussion in hopes that you may know of places that will help with development and refining future models. Notorious for having bikes chained along its railway, the Sitka Sound Science center is upgrading its parking for those traveling on wheels. 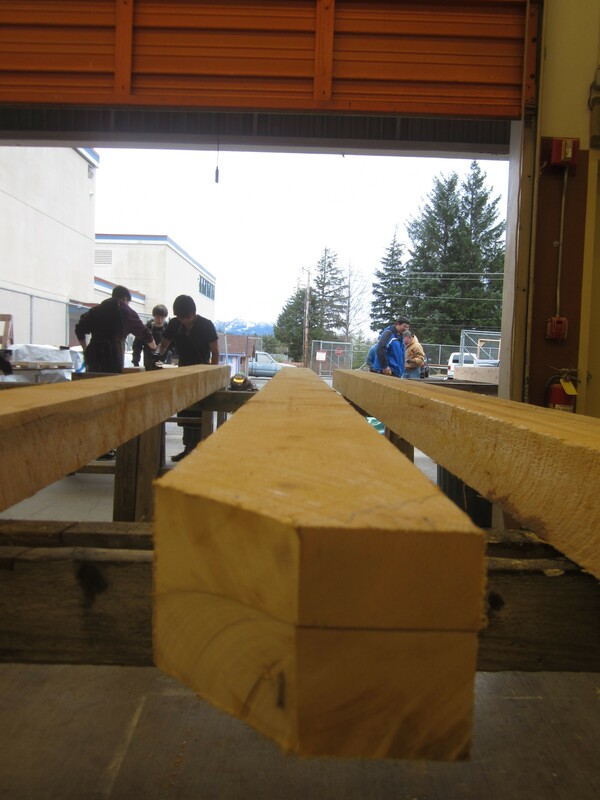 The Construction Tech class at Sitka High, under the instruction of Randy Hughey, is building a bike shelter for the Science center made of young growth Sitka spruce and old growth red cedar from Prince of Wales Island. 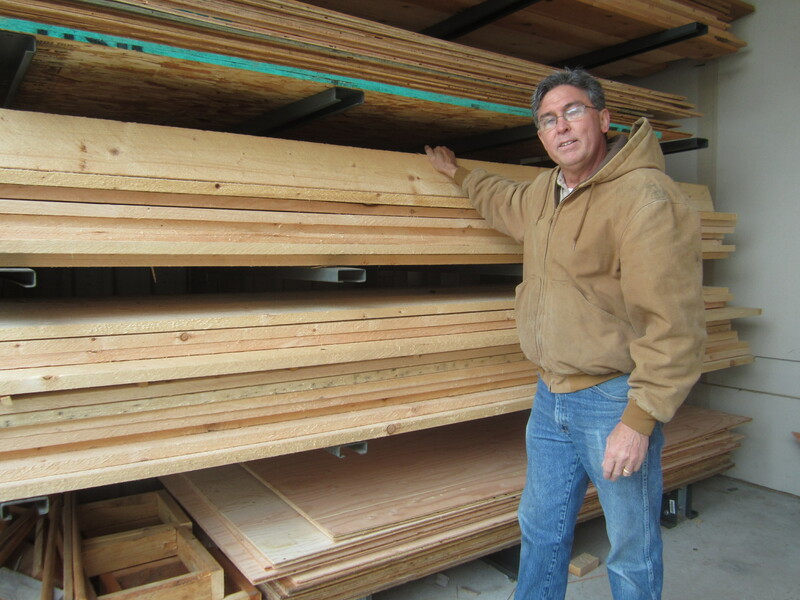 The 6,000 board feet of this Alaskan wood was milled by Mel Cooke of Last Chance Enterprises out of Thorne Bay. 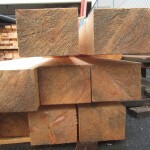 From Cooke’s perspective, the logs are very easy to work with – very symmetrical, very little taper, and mostly comes out straight. 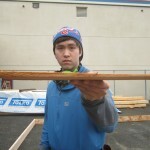 “I enjoy cutting it, it cuts real easy, and the wood looks really good– beautiful boards” says Mel. 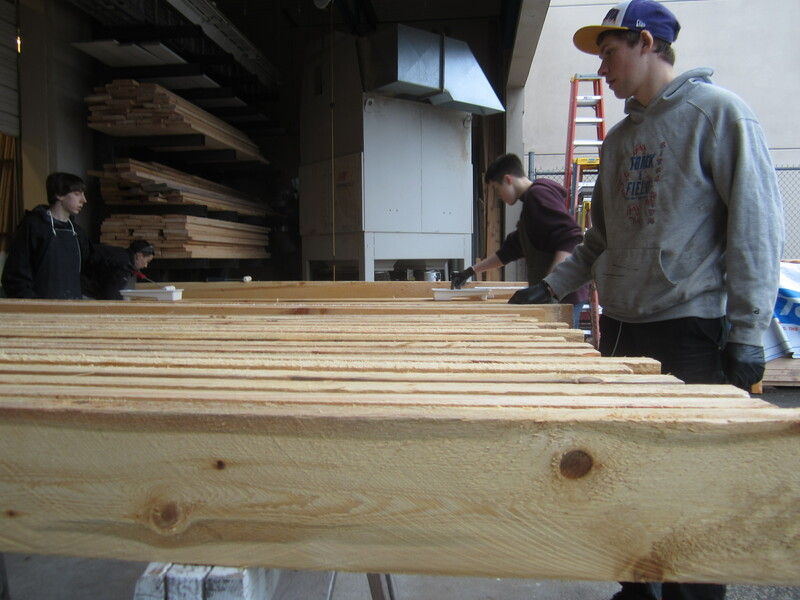 Back at Sitka High, the students have already begun applying a preservative treatment to the future deck of the bike shelter to protect the wood. 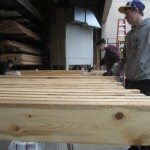 The bike shelter will also rest on top of skids so that water can drain out of the shelter instead of forming pools that will rot the wood. 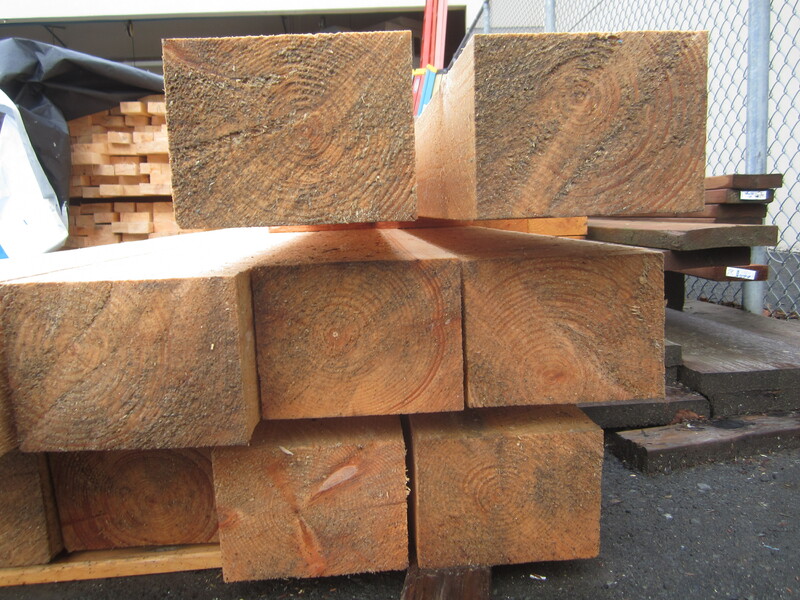 The deck of the shelter is made of Yellow Cedar and Sitka Spruce. 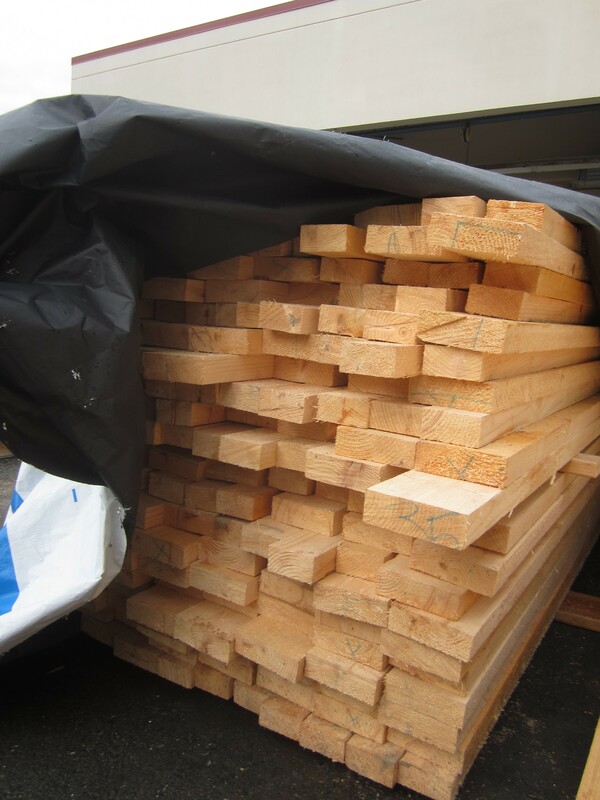 The framing and roof deck will be made of rough sawn Sitka Spruce and the structure will be sided and roofed with Red Cedar. 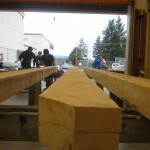 The timber framing of the bike shed is made possible thanks to Daniel Sheehan, a recent Alaska transplant from Massachusetts. 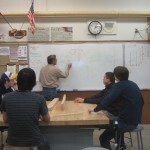 Dan showed up at the SCS alder nightstand open house at Sitka High and met Randy Hughey. 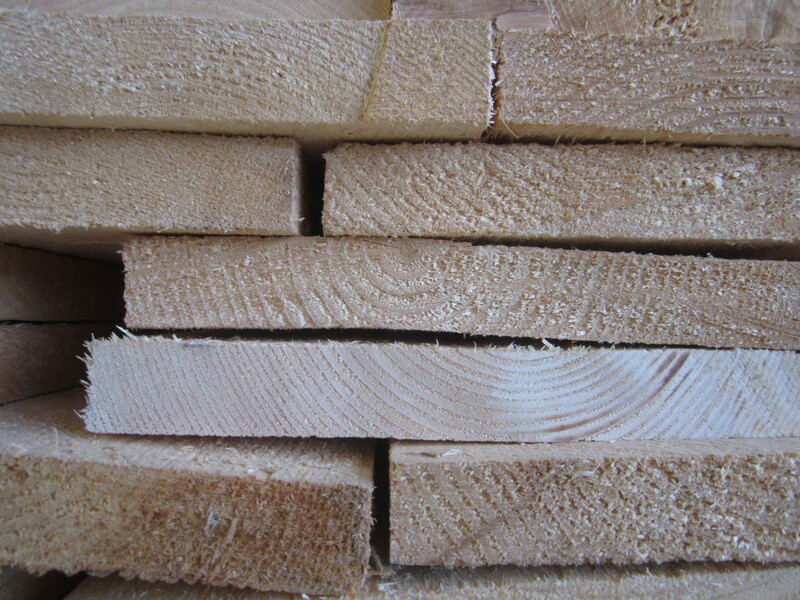 They discovered a mutual love of classic pegged mortise and tenon timber framing. 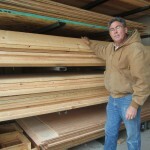 Dan has worked for four years for Ted Benson Timber Framing in the Northeast United States and volunteered to help teach Randy and the students how to timber frame. 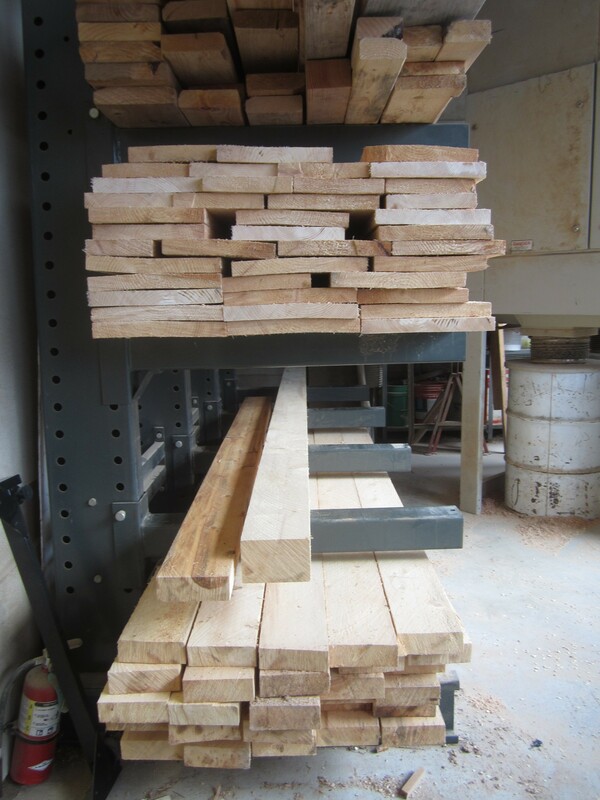 This bike shelter will serve both as a useable space for bikes but also a testament that young growth wood can be used in construction and carpentry fields. 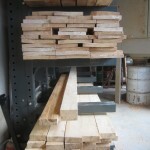 It also demonstrates that building with local wood builds community, relationships, and sustains the knowledge of carpentry for future generations. 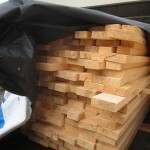 Funding for this project was provided by the National Forest Foundation as part of an ongoing effort to support sustainable timber harvest and local markets in the Tongass National Forest. 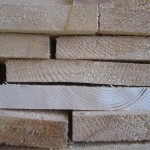 The purpose is to invigorate markets for Tongass young-growth timber products, particularly in Southeast Alaska, by exploring their performance in a variety of interior and exterior applications. 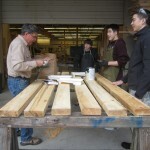 By sharing practical information, broadening the knowledge base, and connecting local producers with consumers, the Sitka Conservation Society hopes to help builders, woodworkers, resource managers and others make more informed decisions about using Tongass young-growth. 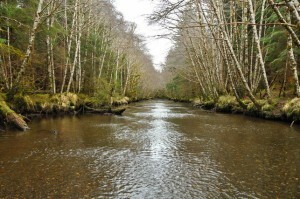 Lake Benzeman is located approximately 35 miles SE of Sitka by boat in the South Baranof Wilderness Area. Botanist Jonathan Goff, SCS member Diana Saverin, and volunteer Paul Killian made the trip down late on a Friday afternoon. The following morning they broke down their tents, inflated their packrafts, and set out to paddle to the opposite side of the lake. For the next several days, they paddled and hiked this remote part of Baranof Island as they surveyed and inventoried everything from rare and sensitive plants to recreation sites. On their last morning, they got an early start and hiked to the alpine where they surveyed for mountain goats. The fog was thick and lingering. After a couple hours they decided to head back down to pack up camp and prepare to be picked up by float plane. The Queen Charlotte fault is a strike-slip fault that marks the boundary between two tectonic plates: the Pacific Plate to the southwest and the North American Plate to the northeast. This fault has previously ruptured in major earthquakes, including a magnitude 8.1 on August 22, 1949; a magnitude 7.6 on July 30, 1972; and the recent magnitude 7.7 earthquake that occurred on October 28, 2012 off Haida Gwaii in British Columbia. 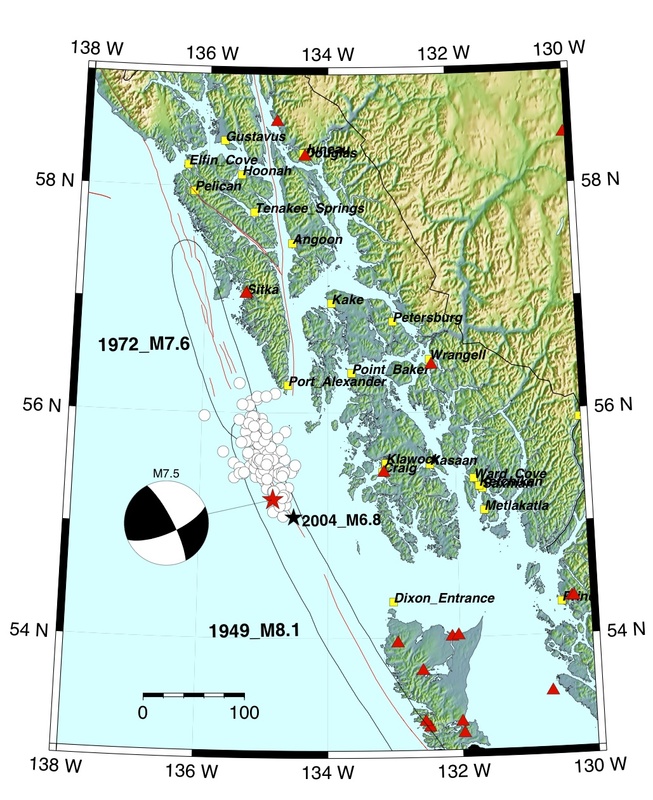 On January 5, 2013, a magnitude 7.5 event was located near the northern end of the 1949 rupture but south of the 1972 event; i.e., it most likely occurred in the remaining rupture gap. This presentation will discuss characteristics of each of these earthquakes and how they are related to the tectonics of the Queen Charlotte fault. This program is free and open to the public. 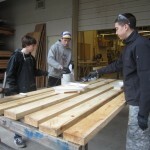 It is sponsored with the generous support of the US Forest Service, UAS Sitka Campus and the Sitka Conservation Society. In his inauguration speech yesterday, President Obama made clear the key issues that are of the most concern and importance going into his second term in office. Of those handful of issues, addressing the threat of climate change was arguably the most important – both to the President, and to our planet. After so many years of stagnant, and often non-existent, discussions and attempts at creating policies to address climate change, President Obama made it quite clear that this inactivity will not continue. Addressing climate change is not just something we “must” do, it is something we “will” do. Now, more than ever, we need to keep vigilant in our efforts to make sure that our Senators Begich and Murkowski know that climate change policy should be at the top of their “to do” lists as well. Writing a letter, sending an email, making a call – all are important actions that everyone can and should do to make sure our representatives in Washington DC know what their constituents value and want to see addressed in this new term. It only takes a few minutes, and we already have a page set up to get you started. If you missed the President’s speech, you can read a transcript here. The survey results are in. And the winner is….. Katlian River! We conducted a survey of Sitkans to identify community priorities for stream and forest restoration. Other places within the top 5 include Shelikof Creek (seen in the photo here), and Nakwasina River. Our survey also identified the values and activities that are most important to Sitkans when accessing public lands. 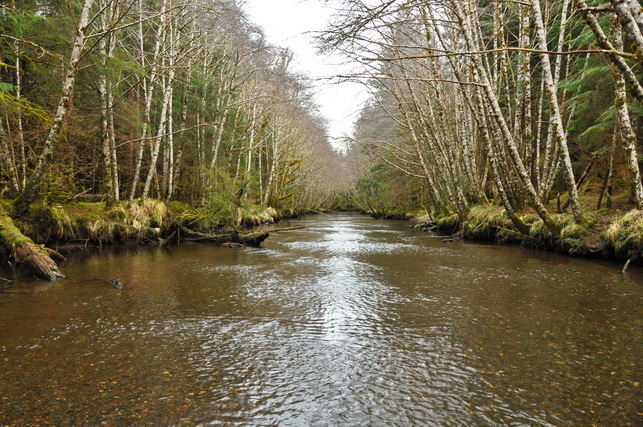 We combined the best of the ecological assessments with our survey data to come up with a Strategic Plan for restoring the watershed that are important to people living, working, and playing in the Sitka Community Use Area. We’ve been spreading the message for a few years now that Sitka is a national leader at countering climate change through its commitment to renewable energy and energy independence. In the past we’ve touted Sitka’s investment in hydropower and the many efforts Sitkans have taken to reduce their carbon footprints. 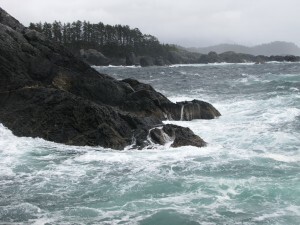 We are now pleased, but not entirely surprised, to share a link to the National Park Service, which is seeking summer staff to work on climate change issues in Sitka. 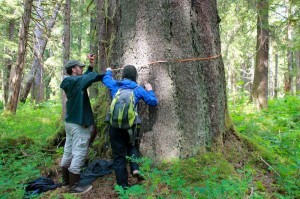 At just 113 acres, the Sitka National Historical Park is among the smaller national parks in the country, but, like the small community of Sitka, it recognizes that seemingly small steps are crucial in taking on climate change. 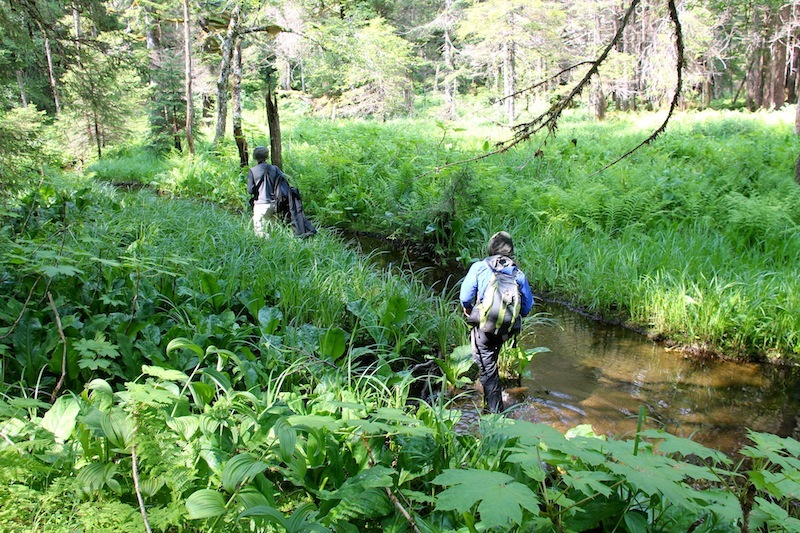 The park’s summer 2013 intern will be conducting stream flow and water quality tests in the Indian River as part of an effort to document the impacts of climate change in Sitka. This is critical work, particularly given the potential influence the Park Service has on driving policy. Celebrating an Amazing Year of 4-H! 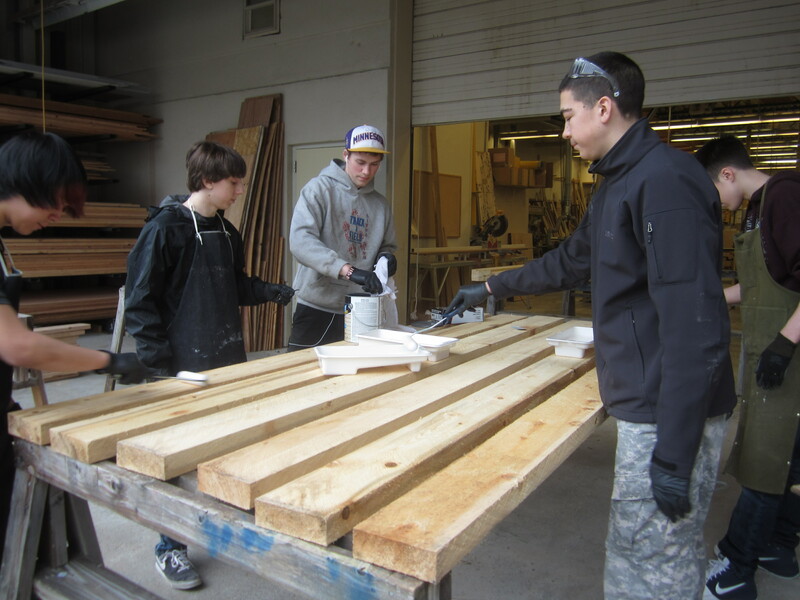 Over the last year, the Sitka Conservation Society has offered lots of exciting Alaska Way of Life 4-H programs! In 2012 4-H kids learned how to track deer, make devils club salve, identify wild mushrooms, harvest berries, and much more! 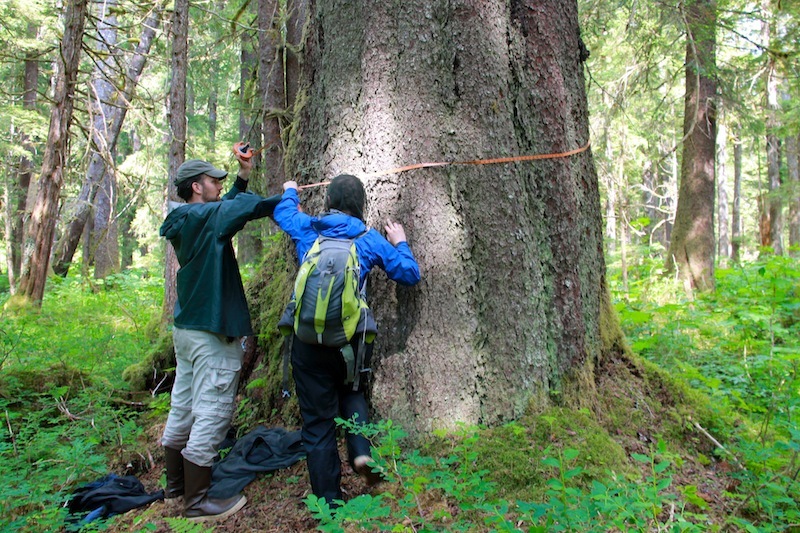 4-H kids were able to walk, touch, eat, and experience everything the Tongass has to offer. 4-H is an amazing program that focuses on four H’s: head, heart, hands, health. Head refers to thinking critically, heart focuses on caring, hands involves giving and working, and finally health emphasizes being and living. 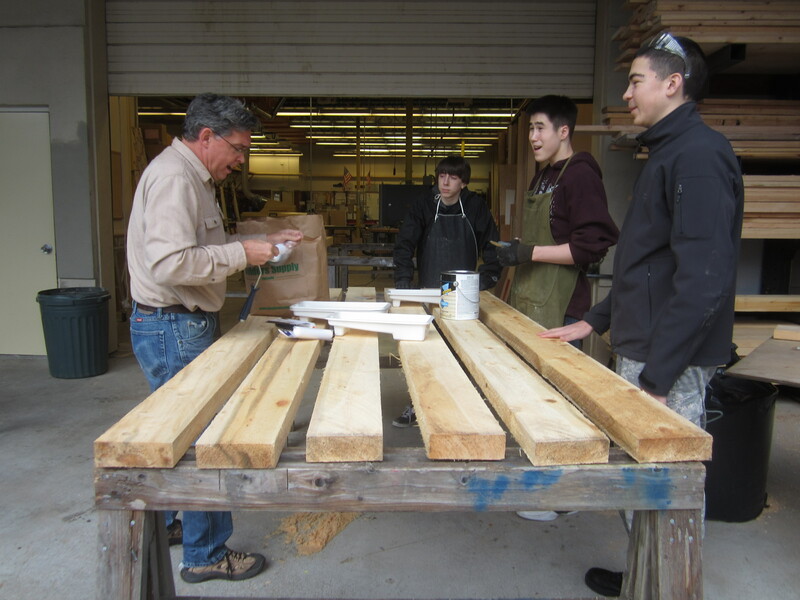 Every 4-H class builds community and enhances our understanding of our natural environment by learning these skills together through hands on activities in the Tongass. By living in Sitka, we must be invested in the Tongass because hurting it would mean damaging our own home. 2012 was filled with dedicated 4-H members who wanted to dive into the Tongass and learn all about its beauty and complexities. As a community, we all were able to experience these things through Alaska Way of Life 4-H clubs. Thank you to all 4-H participants for a terrific year! 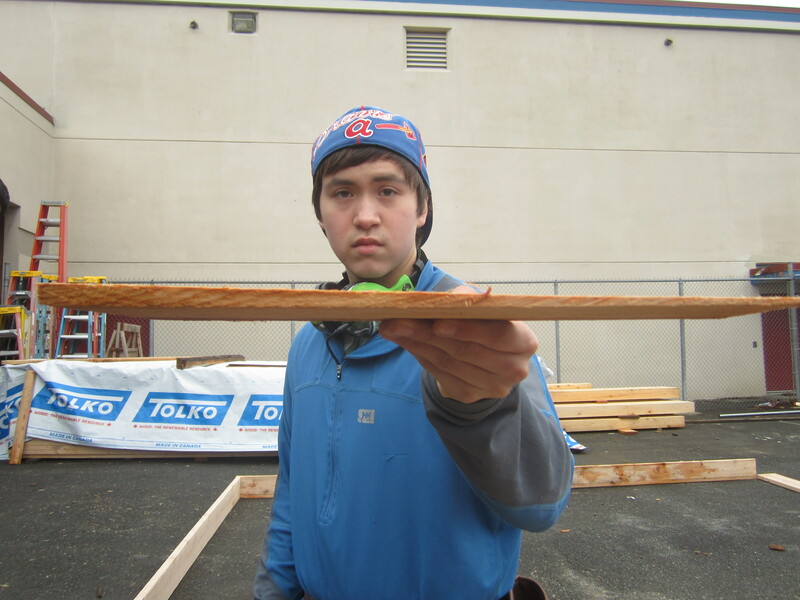 Please enjoy a sneak peak of our slideshow celebrating the wonderful skills we learned together in 2012! To see the full album with all the pictures from the year check out our facebook page. It’s never too late to get involved with 4H! 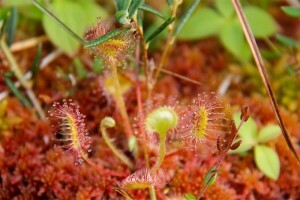 We are always excited to welcome new members to participate in our clubs and workshops that explore the natural world. In the next few months, members will get to go on night hikes, identify wild edibles, monitor beaches, and much more! If you are interested or want to get involved in 4-H please contact Courtney at courtney@sitkawild.org or 747-7509. The Sitka Conservation Society applauds the efforts of Senator Mark Begich to stop the Food and Drug Administration from allowing genetically modified salmon to be produced and sold to consumers. 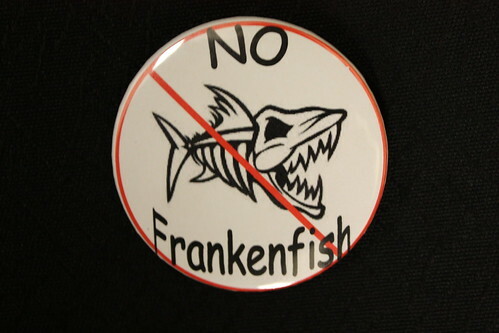 Senator Begich has called out the FDA for its recent finding that genetically modified salmon will have “no significant impact” on the environment or public health. Like all Southeast Alaskans, Senator Begich understands very well the importance of salmon to our lives and livelihoods. Senator Begich understands that Wild Salmon are critical to our economy, our way-of-life, and is a keystone component of Southeast Alaska’s terrestrial and marine environment. Senator Begich has taken a stand to protect our Wild Alaska Salmon. Thank you Senator Begich for protecting Salmon.